My occupation with the role of camera in the formation of institutional histories, collective memory as well as the volatile position of a photograph in attributing (or depriving) agency to its subjects, was the point of departure for this project, “Disposable”. The visual perception and visibility have always been part of our human existence, though it was by invention of photography that, as Ariella Azoulay points out, the gaze could accompany action (The Civil Contract of Photography, 2012). It was through photography, that the spatial contributors, human action and the gaze could all exist at the same time, in one frame of reference, and as Azoulay postulates, this frame of reference is not so dissimilar to a “community” (ibid). A community in which photography, photographer, photographed and spectator are all part of the action and the gaze, despite their intention or even lack of intention. (ibid) Although Azoulay was more concerned with what I dissect as the moral composition of a photograph, I would like to borrow her notion of plurality or community of a photograph to another realm of discussion. Here the photograph with all its contributors, is no longer an immobile surface, it has become an object of its own, and surprisingly is no longer a mere photograph, but rather an image and at some point an image outside of the confinements of its own frame. Borrowing gestures from media imagery of street protests and emancipatory movements, “Disposables” sets the story and movements on what happens before and after those “decisive moments” captured by a mechanical apparatus, and translate those moments through the corporal medium of body, exposing the viewer to a series of images shaped by moments of intermission and slowness. 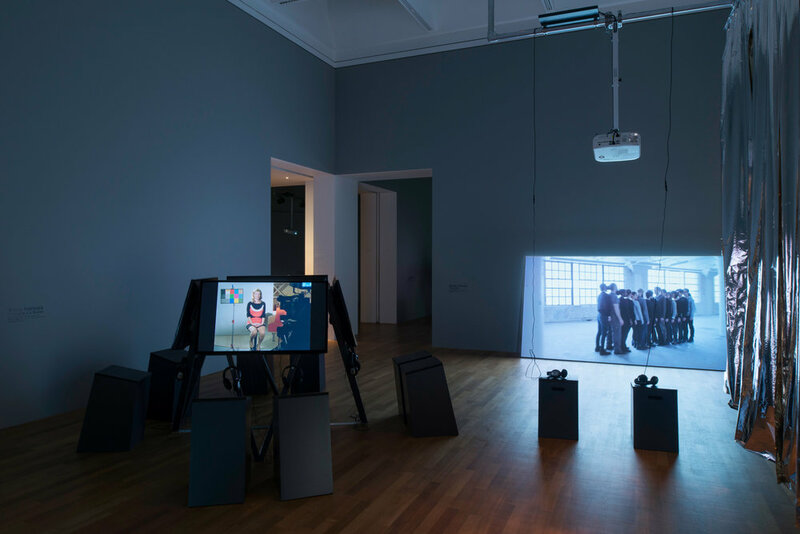 “Disposables” translates the simularca of violence portrayed by media to a state of immediacy and ephemerality of a group of bodies occupying the space. Several living sculptures and body installations in the space are accompanied by a fictional narrative structure; at times in accordance with the visual, and at times outside the narrative structure; bordering fact and fiction, time and space. A fictive tale of movement, bodies in Disposables are exposing the viewer to a gradual unfolding of movements and stories. It is a long exposure of body motion and the end result will be constructed images and fictive words bordering reality.